One of the most important steps in everyone’s daily grooming routine is the application of a fragrant and body odour fighting anti-perspirant. It refreshes your skin and creates a sweetly scented aura and adds to your charismatic personality. In fact, they have become a vital and essential aspect of your active lifestyle. Choose the best product in order to relieve symptoms of excessive sweating. An antiperspirant as compared to a deodorant is more effective in basically minimizing the amount of sweat released by the body. Antiperspirants are available in various forms such as gel or cream or wax based etc. However, all perspirants contain an active ingredient which is generally a metallic salt, namely aluminium-based compounds. This compound functions as a primary ‘sweat-blocker’. The aluminum salts work by making the cells in sweat glands to swell with moisture. This squeezes the ducts which get closed and so the sweat cannot get out. Deodorants are usually present in many antiperspirants thus making them more effective for combating sweat. 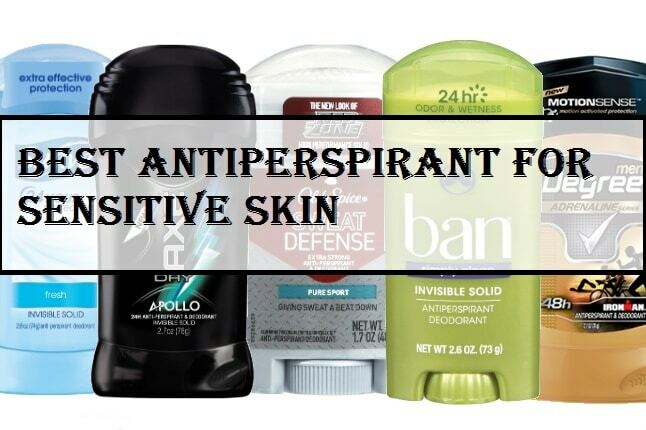 There are numerous anti perspirants available in the market. But if you have a sensitive skin you need to be extra careful regarding the product you are using. 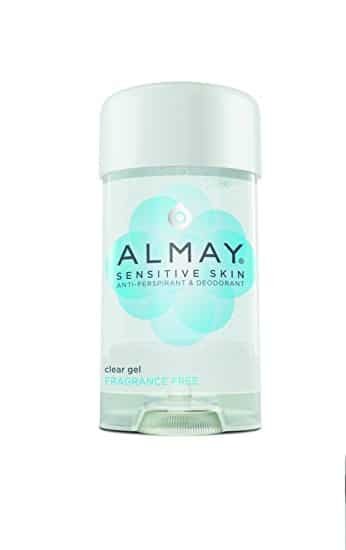 It is important to find a non-irritating and soft anti perspirant which does not play havoc with your skin. Instead, it should have a soothing effect on your sensitive skin. Besides that, the best anti perspirant is that which not only stops sweat but reduces body odor to a great extent. However, this can be a challenging task and only a high quality Anti Persiprant can fulfil your requirements. For this, you will have to carefully read the names of ingredients of the antiperspirant and then apply properly. Harsh odour-fighting chemicals in your perspirant can cause a rash or red marks, itching or irritation. It is important to wash your skin properly with an antibacterial soap before applying any odour fighter. Pat dry immaculately. Before you even think of reaching for your antiperspirant or spray, be sure there is no odour in your armpits. If there is still odor in the armpits then it is best to wash again. Simply let the soap sit for at least 45 seconds before rinsing it again. Carefully scrub; do not overdo it, since the underarm skin is very sensitive. Many people tend to experience irritation under their arms as a result of hair removal or shaving incorrectly. It is best to wear natural fibers such as silk or cotton to ensure your skin is able to breathe. For days when you do not expect to sweat profusely, just pat the entire area with a swipe and do a quick spray. Use anti perspirant generously only when you have to go for a hectic exercising schedule or for pre-gaming times. A clinically approved anti-perspirant is best for your sensitive skin. Clinical strength products can have nearly 20% more odour fighting and sweat stopping chemicals than the regular products available in the market. Few important chemicals in anti-perspirants for sensitive skin include reasonable quantities of aluminium chloride, aluminium lauryl sulfate and few other aluminum ingredients. These chemicals are effective in stopping sweat from reaching the skin’s surface by forming a seal or plug over glands and pores. For best results apply the anti perspirant after a shower at night. Then in the morning re-apply. 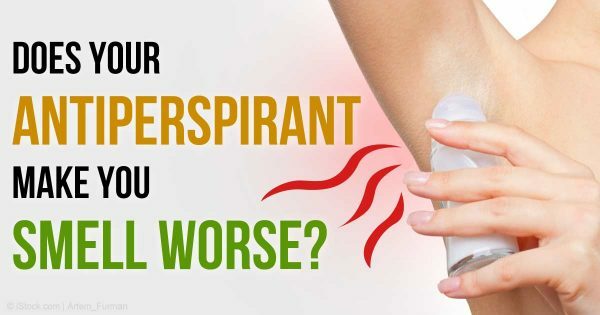 In this manner the anti-perspirant gets proper time to work itself into the sweat glands Thus, it can ensure a relatively better degree of sweat blockade. Numerous beauty product companies have launched antiperspirant products. In case if you have sensitive skin, it is best to test few aluminum free anti perspirants and see what works best for your skin. But always take care to clean your skin first with a good antibacterial soap. Do the sniff test. Then only apply your favourite anti-perspirant product and thereby get excellent results. If your anti perspirant is giving red bumps in your armpit, change instantly and carefully select another product from the shelf. It is enriched with good quality skin conditioners which moisturize your skin and gives a soothing effect. It is suitable for all skin types. It smoothly glides on the skin and gives a refreshing feel. Relatively safe and easy option for handling excessive sweat. Since it is mild, the effect is only temporary. It is a great product that offers value for money. It contains mild chemical ingredients that are safe for your sensitive skin. This is one of the best products offering full day wetness protection sans any fragrance. This quick-drying formula comes in a gel-form that does not leave any stains on your garment. it is absolutly mild on teh skin and can be used right after shaving. It contains 25% Aluminum Sesquichlorohydrate as the main ingredient, so you can be rest assured that yur skin is free from any allergy or irritation. This product helps to block sweat and takes care of all your perspiring problems and odours. This product will leave your body feeling great. 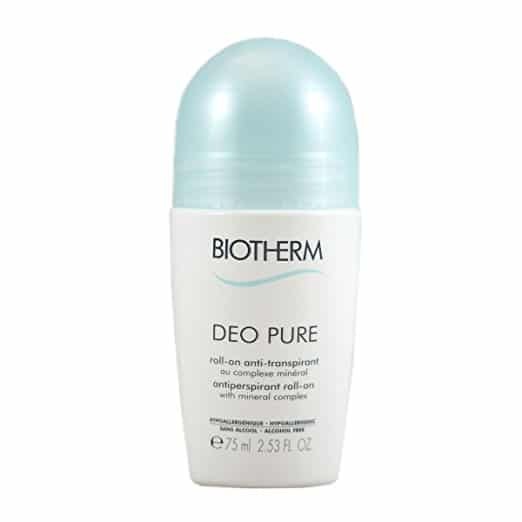 Bio therm Deo Pure 24 H antiperspirant cream is light and soft and absolutely alcohol-free. It is regarded as safe for the skin as it does not cause any allergies. 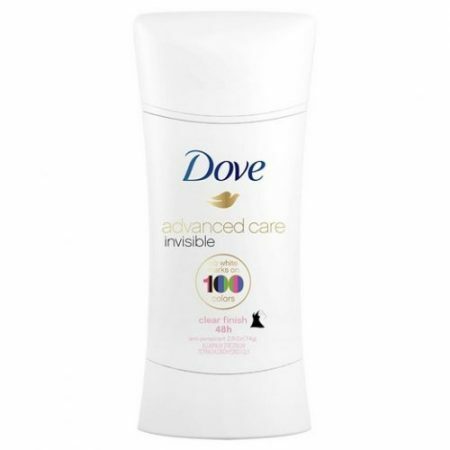 This product contains moisturizers which are best for underarm care. Simply take a small quantity and apply gently. The antiperspirant is limited to the site of application, namely the underarm area. Bio therm Deo Pure 24 H anti perspirant cream is a luxuriously packaged, revolutionary and effective cream antiperspirant which is apt for sensitive skin. It shows immediate efficacy as well as tolerance for the most sensitive skin types. They should not have a powerful fragrance. It should be able to control the odor and help to keep the sweat at bay. Sensitive requires a lot of care and attention. If you wish to remain sweat free and odor free then you need to use best quality antiperspirants. These will refresh your skin and endow you with a wonderful aura. So keep your skin fresh and scented with best antiperspirants which are ideal for sensitive skin and leave no clothing marks. It is best to reapply at regular intervals in order to ensure that you are staying fresh and clean throughout the day. Now you can manage and take care of your sensitive skin. You will not be besieged by rashes or pimples. You will not have to embarrassed about your body odors. Invest in one of these high rated antiperspirant products and witness the difference. Not only will these products help you minimize the odor of your body but also will offer other amazing benefits. So if you intend to have a scented aura then make good quality anti- perspirants a constant part of your everyday routine. I am a Full time Freelance content writer. Specialization: Health and Lifestyle articles, Blog posts, Product Descriptions, SEO content, Movie Reviews, Press release, Fashion guest posts. Writing is my forte and i have been doing this since last 5 years now.